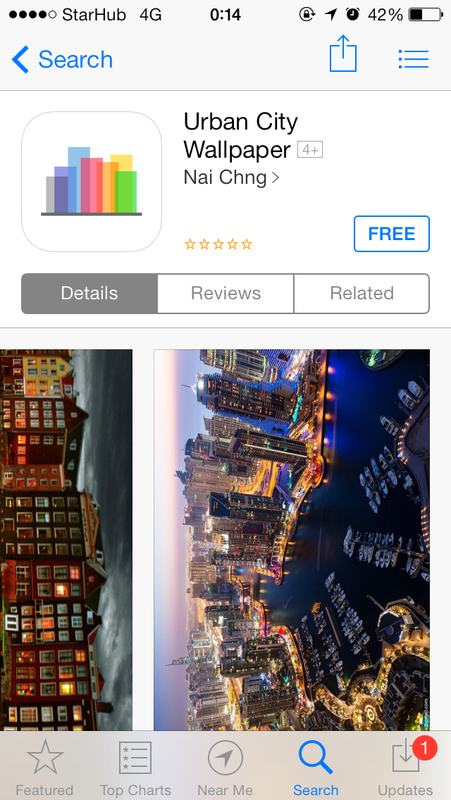 First App on the App Store! But wait.. what’s this? But that’s not the interesting bit. What’s interesting is that I actually submitted 2 apps. Both with identical source code. The only exception was that one app is calling /r/earthporn end points and the other is calling /r/cityporn endpoints, both on imgur. One got rejected, the other got accepted. The earthporn app got rejected because it crashed when there wasn’t an active internet connection present on the device. It’s a legitimate bug which I’ve since patched and resubmitted. Now the same bug probably exists on the cityporn app but it got through. Actually it got reject also but it was due to keyword stuffing on the app title. I removed it and it got through. Funny enough, the earthporn app is also keyword stuffed but Apple hasn’t said mentioned it yet. Let’s see if it gets through. If it does, I’ll essentially have two different rejections reasons for 2 idential apps, each getting away with the other’s rejection. This entry was posted in Uncategorized and tagged ios. Bookmark the permalink. Interesting. So how are the apps doing now?